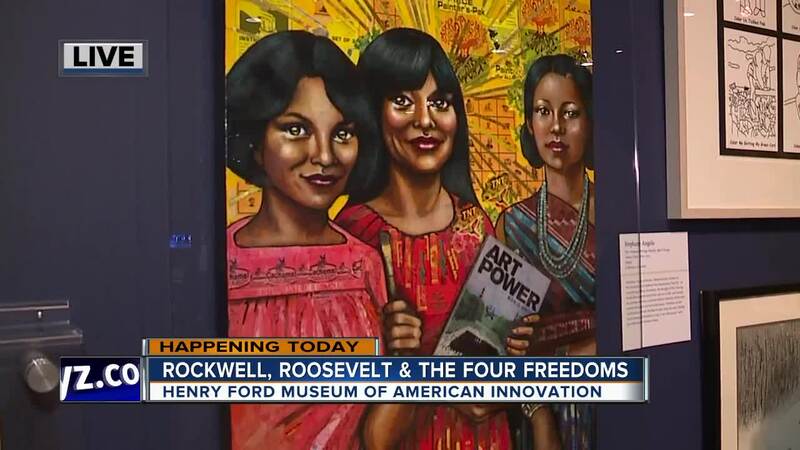 DEARBORN, MICH (WXYZ) — Visitors to Henry Ford Museum of American Innovation this fall can see the iconic depictions of Franklin D. Roosevelt’s Four Freedoms by artist Norman Rockwell October 13, 2018 through January 13, 2019. Enduring Ideals: Rockwell, Roosevelt & the Four Freedoms, an internationally touring exhibition organized by the Norman Rockwell Museum, illuminates both the historic context in which FDR articulated the Four Freedoms and the role Rockwell’s paintings played in bringing them to life for millions of people. The notion of the Four Freedoms has inspired dozens of national constitutions across the globe, yet President Roosevelt’s declaration that the United States was willing to fight for Freedom of Speech, Freedom of Worship, Freedom from Want, and Freedom from Fear, did not turn out to be the immediate triumph he had envisioned. It would take the continuous efforts of the White House, the Office of War Information, and scores of patriotic artists to give the Four Freedoms new life. Most prominent among those artists was Norman Rockwell, whose images became a national sensation in early 1943 when they were first published in The Saturday Evening Post. 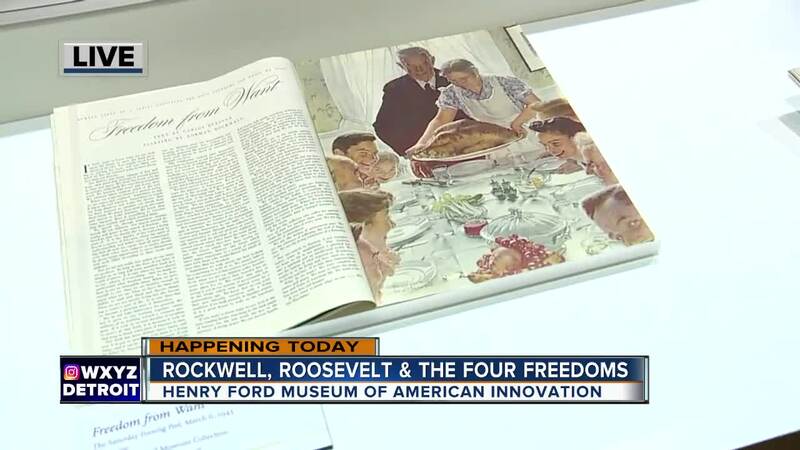 Roosevelt’s words and Rockwell’s pieces of art soon became inseparable in the public consciousness, with millions of reproductions bringing the Four Freedoms directly into American homes and workplaces. 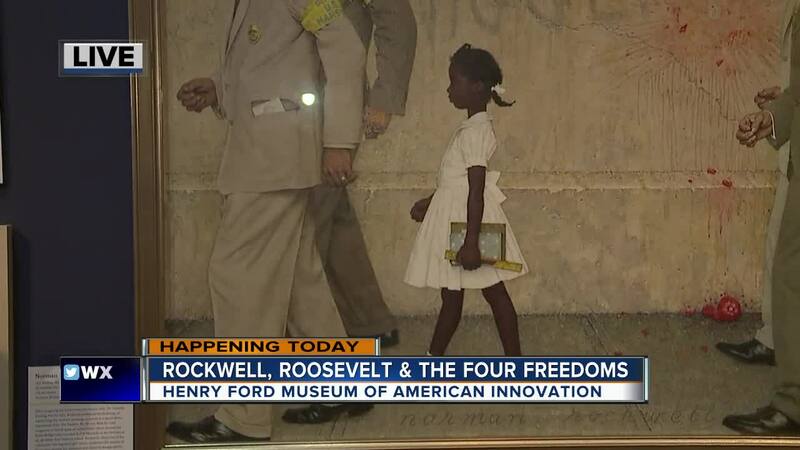 Rockwell, Roosevelt & the Four Freedoms provides a rare opportunity to see the famous paintings, as well as other works by Rockwell and his contemporaries, alongside interactive digital displays and virtual-reality technology. 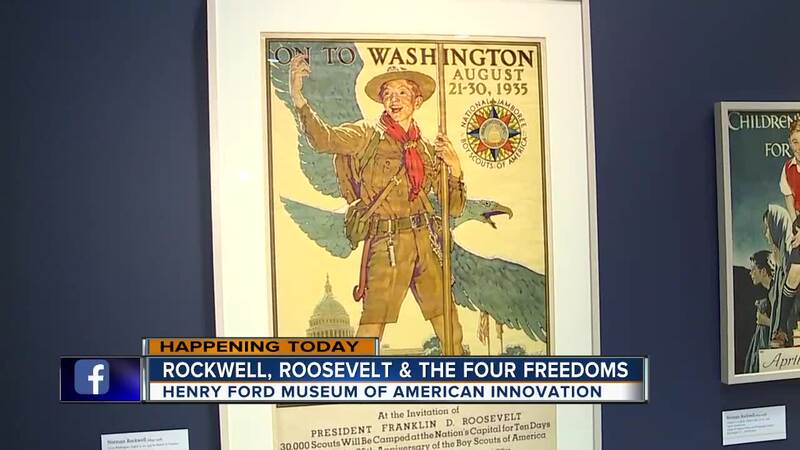 The exhibition is organized into five sections taking visitors on a journey of the Four Freedoms from President Roosevelt’s famous 1941 Annual Message to Congress to the artistic expressions by Rockwell, and his contemporaries to a fresh take on the Four Freedoms by artists of today.